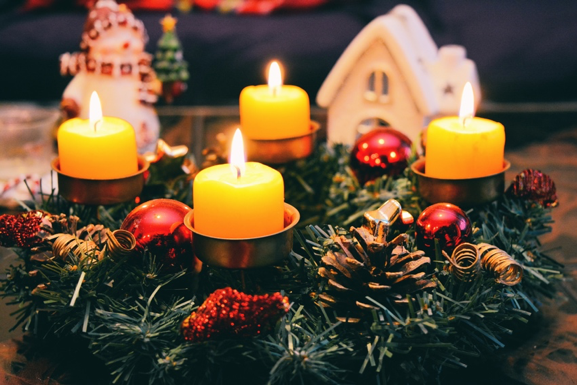 If you are new to Denmark and planning on spending Christmas with the Danes, take a moment to reflect on this quick overview of some of the best known Danish Christmas traditions. Danish Christmas begins with the advent wreath. The wreath has four candles and one candle is lit every Sunday of December leading up to Christmas Eve. Another tradition is the calendar candle. This candle is marked with 24 lines, normally decorated with Christmas motives. The candle is lit every day from the 1st of December until the 24th of December. The candle is blown out before it burns down into the next day. Advent calendars, or Christmas calendars, take many forms in Denmark. Mostly they are aimed at children but adults can also join in the fun! Most children in Denmark get a gift calendar consisting of 24 small presents, one for each day until the 24th of December. Each gift is individually bought and wrapped by their parents. There is also a Christmas calendar television series for children and adults alike. Each year, the two big television channels produce a special new Christmas series divided into 24 episodes to entertain children. This year Tuborg is also making an online version, but this one is not for kids! Workplaces in Denmark always host an annual Christmas Lunch (meaning party) and guess what the main ingredients are – meat and snaps. Snaps are small shots of a strong alcoholic beverage that are consumed at holidays. Red and vinegar-infused cabbage represent the vegetable part of the Christmas Lunch. Christmas Eve dinner is all about tradition. Duck or Pork are on the menu, as well as boiled potatoes, caramelized potatoes, brown gravy sauce and pickled red cabbage. It’s a heavy, old-fashioned meal that will leave you sleepy but satisfied. Vegetarians and vegans will have to bring their own dish. For dessert, the famous Danish invention but somehow French-named: Ris à l’Amande. It’s a cold, creamy rice pudding made with vanilla and almond slivers, topped with hot cherry sauce. The game with Ris à l’Amande is that one whole almond is added to the bowl of pudding and you have to keep eating the pudding until someone finds the almond. The winner gets a prize! After dinner and before opening the Christmas presents, you have to join hands and sing Christmas hymns while walking around the tree. To trigger an adrenaline rush, the tree is decorated with actual lighted candles. A little terrifying for newbies like me, but it’s fun! Slowly, the presents are unwrapped. It’s a whole tradition in slow motion, a ritual. 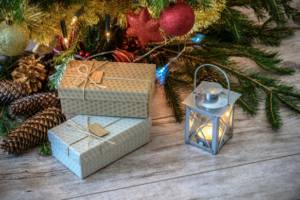 One package at a time is carefully chosen from underneath the Christmas tree and given to the right receiver to open, until all presents are unwrapped and Christmas is over for another year. So take some inspiration from the above traditions and bring a little Denmark into your Christmas!